Every small business in Cleveland and Northeast Ohio should have a professional web design if they want to communication effectively with customers on-line, both locally in the Cleveland metro area and across Northeastern Ohio. A website is your digital sign post on the information super highway. Your website is an integral piece of how your clients come to understand your organization. This is the main reason a website is a essential component of every SEO effort. As such your web design should be engaging, expertly designed and navigable by both search engine and customers. As a web design company located in Cleveland and servicing clients across Northeastern Ohio we have intimate knowledge of the local business environment. As a small business we know what it takes to be found on the search engines by customers in Cleveland. When the goals for your web design have been agreed upon, Wi-Phye will begin working on am attractive and original web design based on your requirements. Once we have both agreed on the web design, work will start the development of your new site. At Wi-Phye, we know that we are working with a small business that you have built and nurtured, thus it’s critical for us to learn the goals you want achieve with your small business website. This is why we always work with our customers before we start the web development process. To create a extraordinary web design, we need to understand all the aspects of the web design from image to functionality, while also understanding your future plans for your website design. This allows us to help you capitalize on those plans as soon as possible. At engineering affordable, user friendly solutions that promote your small business. 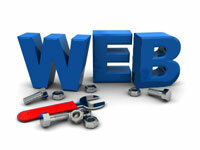 We are professional web developers with a long background of creating small business websites. Our goal is to develop web designs that are attractive and easy to update by end users. In the interest of saving your time we engineer your web design to work seamlessly with the major social networks including Facebook, Twitter, and LinkedIn so you can post to your website and have your message distributed across different platforms. To keep within your web design budget we use Open Source Content Management Systems (CMS) like Joomla and WordPress. First and foremost we are a SEO company. We know how to optimize a web design so your business is found by customers around the Cleveland and Northeast Ohio metro area. We provide a wide variety of Web Design services that can be used to fulfill the requirements of our customers. Using our web design services mean that your web design will be professional, engaging and generate leads for your business. We can create a we design for you that enhances your image and looks great without going over your budget or affecting the ROI. At Wi-Phye, we believe in keeping our clients up to date on the state of their web design while it is undergoing development. Through the whole web design process, all of the clients we work with are given a link to monitor their design, allowing them to see the progress being made on their web design. This allows us to ensure the web design meets your expectations, goals and business exactly. To learn more about our small business websites and how we can you help find customers across Cleveland and Northeast Ohio, please don’t wait to Contact Us.